It is difficult to find a good restaurant in France but I can always rely on beetroot baked in an oven. 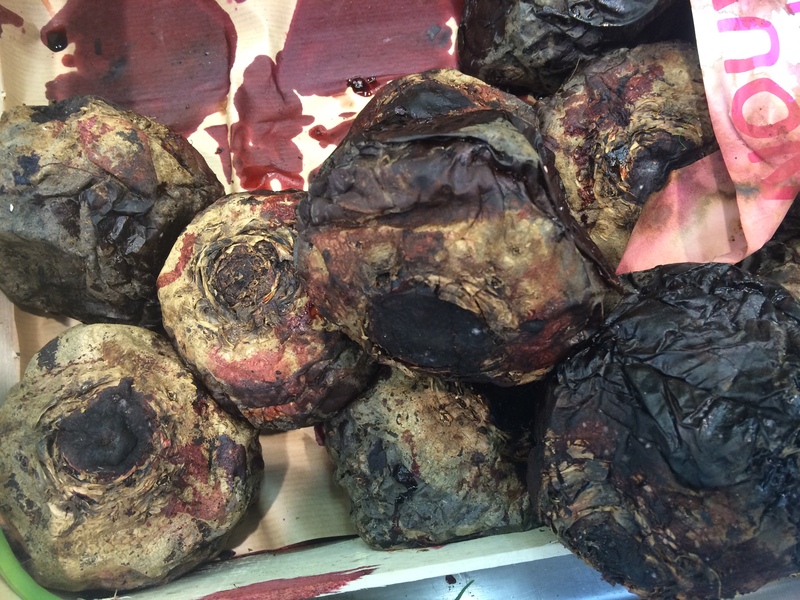 Beautiful beetroot that has been baked in an oven, on display in Leclerc. I have come to realise how spoilt we are in North London surrounded by so many good restaurants with a wide range of cuisines. Normally we choose an Indian when we go out but are looking forward to eating at the Lebanese restaurant I’ve been told of and there is a Japanese one near it. As I have written in a previous blog, my favourite non-Indian restaurant , L’Orangerie is just 8 km away so all is not lost though a decent Indian restaurant would be perfect. 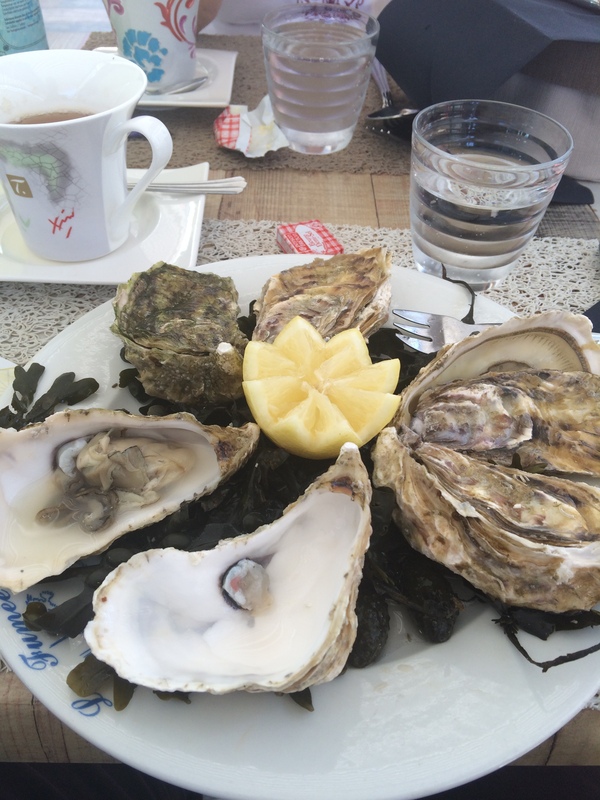 We recently went to Fouras and had a lunch on the point where oysters are harvested. The oysters were just magnificent the rest of the meal less so. The oysters were magnificent. Wish I’d had a couple of dozen! Next time I’ll just have a dozen of so oysters and fish soup I think. There is a quaint restaurant nearby in the small hotel “Au Bon Accueil“. It does not have a web site but there is a small picture of it and map on Google. For some reason it is described as an Italian restaurant but it has a French menu with paella and accordion on Fridays. The ambience is superb and the husband and wife who own it delightful welcoming hosts, hippies I think. The paella was not as good as it has been but the cold buffet for hors d’oeuvres and the atmosphere of the place made up for it, especially the accordion. I certainly recommend it. Finally I need to mention brown shrimps, or grey shrimps as the French call them. I always buy them in the market and have them for lunch on Saturday. I am sure Leclerc sell them so I could have them more often. I’ll have a look.